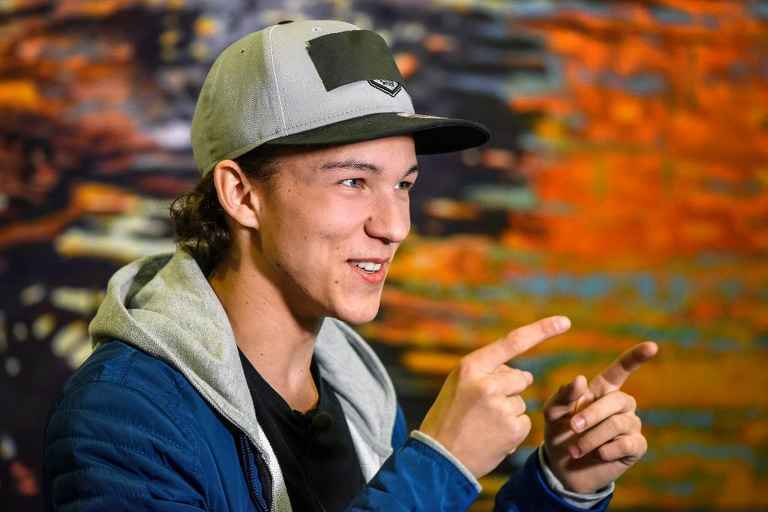 Frans Jeppsson-Wall was born on 19 December 1998 in Ystad. Jeppsson-Wall is bilingual because his father is from Nigeria and raised in England. Already as a 7-year-old he became nationally known when in May 2006 with band Elias he released World Cup 2006 football song Who's da Man​​, a tribute song to Zlatan Ibrahimovic. It all started when Frans hummed "Alla vill till himmelen" and an adult acquaintance - who writes music - heard the potential in the voice of 6-years old and proposed him to record a song in the studio, he has produced. Song has topped national chart Hitlistan and stayed on the 1st position for 10 weeks. It sold over 60.000 copies and was certified double platinum. Song has been released in Swedish and English versions. Elias and Frans also appeared with the song at Allsång på Skansen event. In December 2006 he has presented Christmas single Kul med Jul and after that released debut double album Da Man. 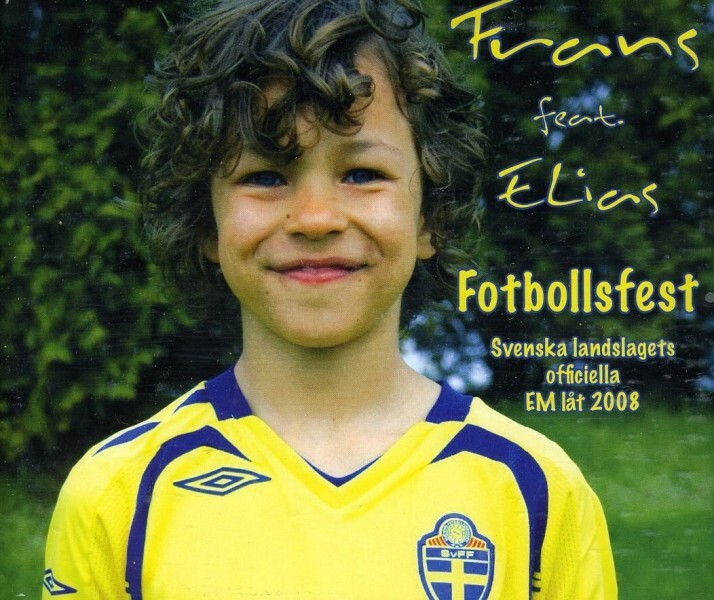 In 2008 he and Elias have released another football song: Fotbollsfest, which became official song of Sweden at the European Championship and has also topped national chart. Since then Frans lived a quieter life. "During this long period, I mostly tried to slow down a little, find myself, trying to figure out what I want for the future, and just going to school and trying to live a normal life". As for the future, Frans has no definite plans yet, but for the moment he is happy to continue doing music. "I'm still interested in music. We have recorded some songs, and I have been featured in an advertising for Toyota", he says. In 2015 he was back in the studio, working on the new music material with producers from Cardiac Records. The song "If I Were Sorry" was co-written by Oscar Fogelström, Michael Saxell and member of Elias and producer of previous Frans' hits Fredrik Andersson. Fredrik Andersson performed on Melodifestivalen 2002 stage with group Solo and "Ge mig himlen för en dag". 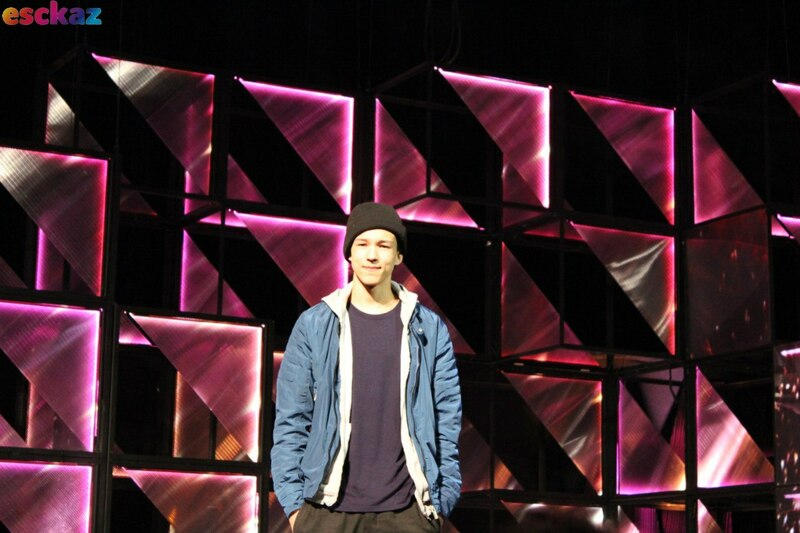 Fredrick was also behind Bjorn Ranelid's and Sara Li's entry "Mirakel" in the Melodifestivalen 2012. "I was spending some time in their studio, and after a while, we decided to write a song together. Since then we built it on bit by bit. We had never imagined that it would become such a success as we sat there in Ystad and wrote it", says Frans. It was the record company that suggested the song should be sent to the Melodifestivalen, which met some scepticism from it's creators. But it turned out that the song has been loved by the press, outperformed all entries in the audience survey and finally made it to the final, 10 years after previous performance of Frans on the big stage. 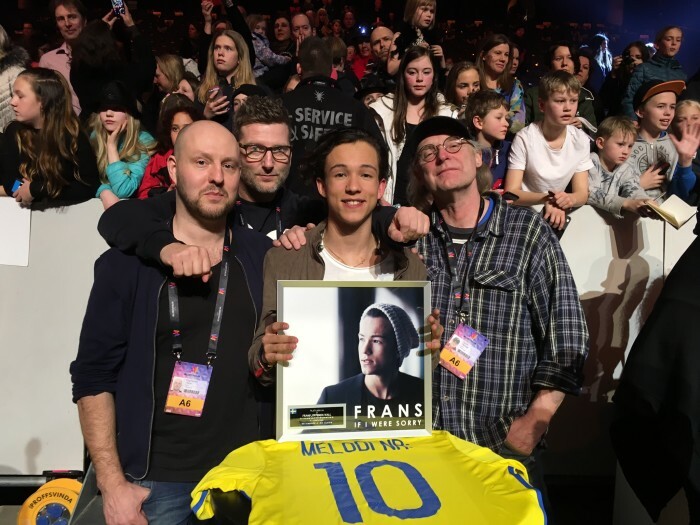 Frans performed the song for the very first time in Gävle during the fourth and last semi-final making it directly to the big final at the Friends Arena, Stockholm on March 12th. The single was released immediately after the performance on 28 February and reached the first place in Sverigetopplistan, music video on it was released on 2 March. Music video was shot in Ystad, where Frans still lives. The song has in record time streamed over 6.5 million times (this despite stiff competition from other strong Melodifestivalen contributions as well as world famous tracks signed by Zayn or Rihanna), and on 11 March, the day before the Melodifestivalen final, the single was certified platinum. "I do not want to paint my own picture of the song, but rather I want people who listen to it themselves to interpret it and find their own meaning in the song"
Fredrik Andersson is a songwriter, producer and executive director of Cardiac Records. In 2015 Fredrik wrote and produced one of the most popular tracks in Sweden, Johnny G with the artist Badpojken. It was also Fredrik who in 2006 wrote the hit Who’s da man with Frans which stayed at the top of the charts for 21 weeks! Fredrik was awarded the Ystad Kommun Culture Prize last year. The prize was recognition for the initiative he had taken in founding the new music course at IMP - Institute of Music and Production. Oscar Fogelström is a Swedish producer, songwriter, composer and originator. He’s been heard and seen throughout the world through his work with artists, in movies, commercials and creative writing. Oscar’s music and creativity has shaped and underpinned movies, TV shows and commercials for the past 15 years. His clients have included such names as Coke, Blackberry, Reebok and IKEA as well as award winning performers and movie directors. Michael Saxell is one of Sweden's most versatile successful songwriters in recent years. With multiple gold and platinum awards in Sweden and internationally in the past three decades, he’s a firm believer in the magic of the moment and translating it into song form. Saxell’s songs have been recorded by Canadian rockers BTO, country music legend Dickey Lee, Procol Harum’s Keith Reid, Terry Jacks, jazz great Ulf Wakenius, as well as numerous other international and Scandinavian artists. Lotta Bromé will be SVT commentator of the live broadcasts. She has an extensive track record of program hosting on both radio and television. She also sat in the Swedish Eurovision jury in previous years. "I think it's an huge honor and was very happy when I was asked. I've always been very interested in the Eurovision Song Contest and so for me it's a bit of a dream". Lotta says she looks forward to being a part of the Eurovision world. "It will be fun to go into this bubble and working with the entire gang because I think they are very professional". She says that the most difficult task for her perhaps would be to keep track of the scoring, but she is sure she will cope well with that. "When we have entered the competition, I didn't expect to win at all. We were entering this as a fun thing, as a representation of me as an artist and the song. There was never even thought of the victory", said Frans. He thinks that main reason of his success is that "The song is very me and I perform it confidently, maybe that's why they like it". Performance of Frans in Melodifestivalen has been choreographed by Lotta Furebäck, Mari Ryberger and he was supported only by one backing signer Jonathan Jaarnek Norén outside the stage. Frans says he is confident to perform alone on the stage: "If you'll take a look on my script it says only - look to 3 cameras and the rest of your time you're on your own. So I'm just staying confident, enjoying the moment and that's why it is so simple for me". He isn't sure yet if there would be any changes for the international competition: "Prior to the final, we've spent the whole day to drive around and find new stuff. Something fresh and interesting. Yet we've ended up the same. So probably there will be no changes. But you never know". 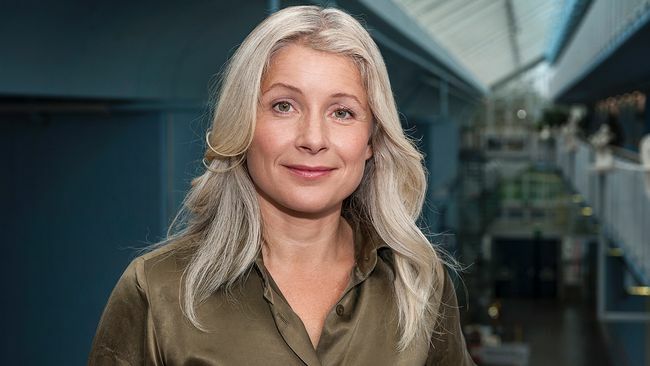 Sweden's new head of delegation Mari Ryberger talked to SVT website about the changes in the number and how to convey Frans charm to the whole of Europe. This year, Sweden has a new head of delegation of the Eurovision Song Contest. Christer Björkman, who usually shoulder the mission, is the contest producer for the whole Eurovision and instead Mari Ryberger is responsible for the Swedish delegation and Frans. Mari Ryberger has been part of the Swedish Eurovision Delegation Christer Björkman's assistant since 2012 and she has been the entries producer in the contest for years. It is she, along with Lotta Furebäck, who created the stage performance which brought Frans victory in Melodifestivalen. Ryberger started her career as a dancer but also has had many roles in musicals and theaters and has worked as a singer for many years. Started working as a choreographer in 2005 before she got the job in 2010 as entries producer of Melodifestivalen. Mari Ryberger reveals that there will be no massive changes in the performance of Frans. "We'll make it a little more efficient and adapt it to the Eurovision stage but that's all I'm saying right now". Sweden won last year and aims to reach the same result this year. "I hope goes without saying that Frans will go great. We did not know how the international jury at the Melodifestivalen would react but they received him with open arms, so I hope that the rest of Europe does too", said Mari Ryberger. 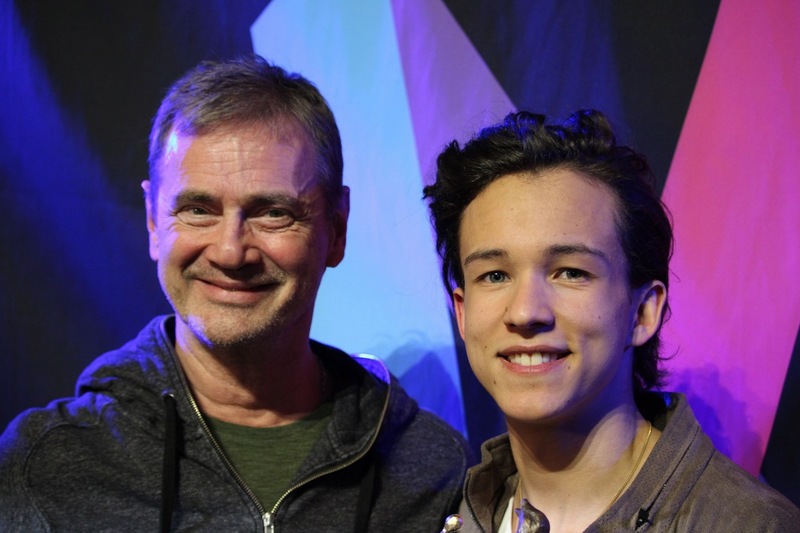 Frans is the youngest winner of the Melodifestivalen since Carola won at age 16 with "Främling" in 1983 and Mari Ryberger and other delegation members are trying to do his Eurovision things as simple as possible. "We work a lot together, so that it does not become overwhelming for him. He is still only 17 years so we have to try to hold back a little". Right now Frans combines preparations for Eurovision with the school. "We try to give him as much opportunity we can to catch up with the school. But of course he will miss some when the event kicks off, so he would have to pick up after Eurovision", says Mari Ryberger. The competition this year is organized in Sweden, and Mari Ryberger sees it as a big advantage. "What feels is that you get greater support, a big backing of all who really want Frans to do well. So it's fun to do it at home". 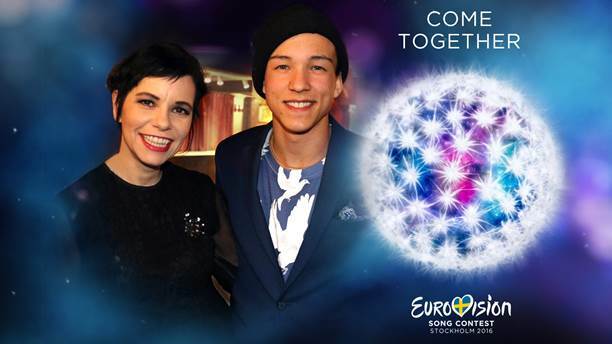 On 3 May, it is time for Frans' first rehearsal in the Arena and Mari Ryberger has her most important task during the Eurovision week ready for him. It is to calm him down so that he feels good". Swedish Radio has announced extensive Eurovision programming for the Euroweek, which will include the experts' comments, folk festival in the Eurovillage and the unprecedented amounts of schlager music. The party coverage also will be taking place online and in social network accounts of Sveriges Radio. Team of Carolina Norén, Björn Kjellman and Ronnie Ritterland will be following the events in the Globe, while Melodikrysset program will move out to Eurovillage for the live broadcast on the day of the finals, and many other programming will be examining the mood among the Eurovision fans in the park as well. If that still is not enough to satisfy your Eurovision needs, you can tune in to the round the clock music channel P4 Melodifest, with Swedish and international hits from the Eurovision Song Contest. 15:00 to 17:30 - P4 Stockholm visiting the park. 13:00 to 15:00 - P4 Extra broadcasting from the Swedish Radio stage in Eurovillage. 16:45 to 19:45 - P5 STHML broadcasting from the Swedish Radio stage in Eurovillage. 21:00 to 23:00 - Semifinal 1 directly from the Globe, on P4 and sverigesradio.se. 17:35 to 18:45 - Kvällspasset on P4 broadcast from the Swedish Radio stage in the Eurovillage. 14:00 to 16:00 - PP3 broadcast from the Swedish Radio stage in the Eurovillage. 16:45 to 19:45 - P5 STHML broadcasting from Swedish Radio stage in the Eurovillage. 17:00 to 18:45 - P4 broadcast live from Swedish Radio stage in the Eurovillage. 10.00 to 11:00 - Melodykrysset on P4 broadcast from the Swedish Radio stage in the Eurovillage. 12.30 to 16:00 - P5 STHML broadcasting from the Swedish Radio stage in the Eurovillage. UK and US are the countries expressing the biggest interest towards Frans and his Eurovision entry. "UK is the country where the interest is increasing the most", says Fredrik Andersson of Cardiac Records in Ystad. Earlier this week Frans returned home to Ystad after performance and interviews in London, writes Skånska Dagbladet. Statistics show that interest in the Swedish entry is sharply going up in UK and many believe that the song will become a hit there. In Sweden Frans steadily stays on the top of the charts. "The other country showing a great interest in Frans is the US. We have reached already cooperation agreement with Columbia Records in the UK, a company that has many great artists and also with Columbia Records in the United States. Increasing interest in the countries with the toughest markets is very exciting. The UK agreement was reached already few days after the semifinal in Gävle. Columbia United States was completed on Thursday before the finals in Sweden, so both deals would have been there even if he didn't qualify to the international Eurovision". "Perhaps it helps that Frans has a background in England. When we were there, everyone thought that he was an Englishman. He has a London dialect. For him being in England feels like home and he is so confident in the language". The local interest to Frans remains huge. "We decline upto 90 percent of all requests, but there are certain things you just have to do", says Fredrik Andersson. "We have TV4 on Sunday, and we have one more event. We're concentrating on the rehearsals of the stage act. There will be few changes, but basically it remains the same"
Sweden has completed filming on it's own Eurovision postcard and it features hometown of Frans Ystad and its surroundings. The recording of the postcard was done in one day. "We have started at four in the morning with the preliminaries and at five we were then in place at Ales stones in time to the sunrise. It was incredibly beautiful but very cold", says Sweden's head of delegation Mari Ryberger. In the postcard, we will also see Frans playing the piano in Ystad monastery, in a recording studio and also he will take us to the beach. "The day ended at the beach where Frans plays ball and grill marshmallows and hot dogs with their friends", says Mari Ryberger. New panel has been announced for the Inför Eurovision program this year. 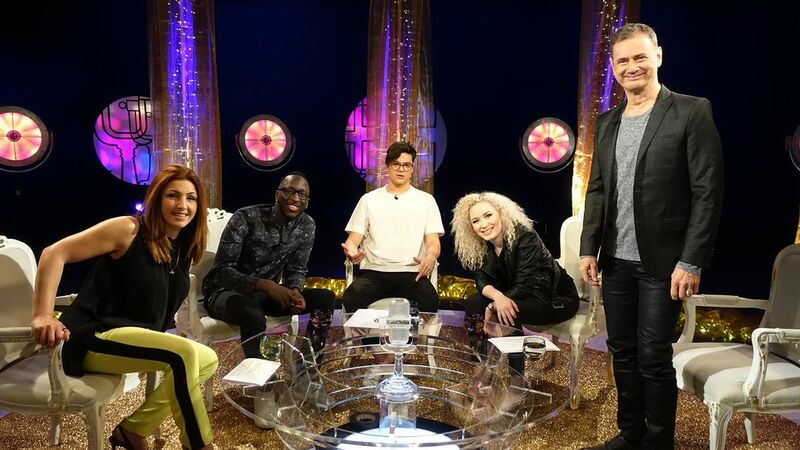 In the 4 programs Helena Paparizou, Oscar Zia, Njol Badjie from Panetoz, and Wiktoria Johansson will discuss and provide feedback on all the contestants of Eurovision 2016. "I expect to hear and see an incredibly wide and mixed line-up, and it is exciting to see if we manage to find gems", says Wiktoria. 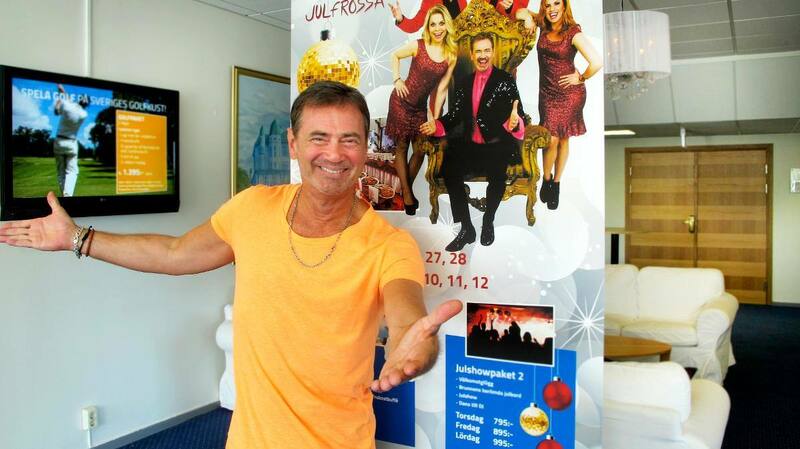 Christer Björkman, producer of the Eurovision Song Contest 2016, is back as sole host of the program. "I love to sit down and geek myself into the entries. This year's panel should bring lively discussions as it is full of strong personalities with Eurovision and Melodifestivalen experience", he says. Eurovision 2015 winner Mans Zelmerlöw, who together with Petra Mede will also host Eurovision Song Contest 2016, will be taking the viewers behind the scenes. Don't miss the shows on 26, 29 April, 3 and 6 May at 20:00 on SVT1. Program is available to watch online on SVT Play. 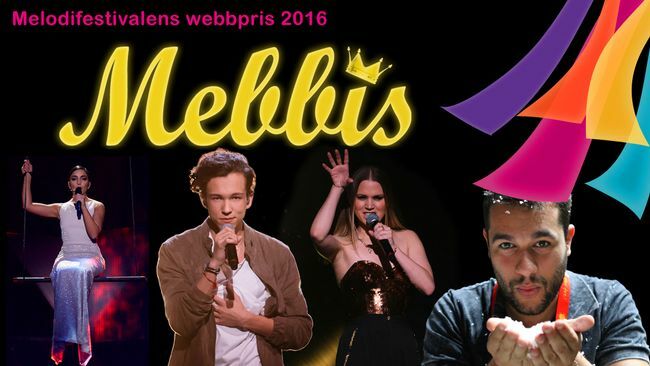 Winners of the special Melodifestivalen Web-Awards have been announced. 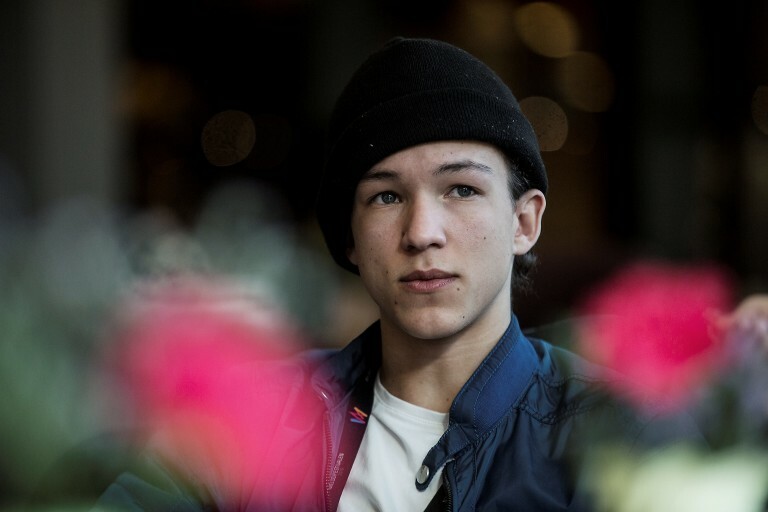 As the Swedish preselection itself, internet award ended in triumph of Frans and his entry "If I Were Sorry" - it was awarded Song of the Year, and Frans himself - Artist of the Year, Breakthrough of the Year and winner of six awards in total. Joy & Linnea Deb, Anton Hard af Segerstad narrowly managed to win Songwriters of the Year award. Best singer of the year - Lisa Ajax. Best band of the year - Panetoz. Best stage show and choreography - Ace Wilder. French pioneer of electronic music, Jean-Michel Jarre, thinks that Frans has all the chances to win Eurovision 2016. "It has all the potential to win. And you in Sweden are now specialists in this, much more than France. I think it's because Eurovision is too expensive for France to arrange and therefore we always send weird entries. So I'm afraid you next year will have to pay for Eurovision again, because your entry has a good chance", he says. Frans can sleep peacefully. EBU dismisses allegations that the Melodifestivalen winning can be a plagiarism. Shortly before the final of the national preselection, there appeared allegations that Frans song "If I Were sorry" may be a possible plagiarism of Matt Simon's song "Catch & Release". Now, the Swedish entry has been examined by the Reference Group of the European Broadcasting Union and Eurovision Supervisor Jon Ola Sand has confirmed that "None of us have a sense that this is a plagiarism". He confirmed EBU will not move forward in investigations, unless there is a legal claim from the songwriters behind the alleged original track. Pias Recordings, record company behind "Catch & Release" was aiming to do an own investigation, yet the outcome of it was unclear. Spanish broadcaster RTVE will organize podcast commentary for the final of Melodifestivalen. Starting at 19:30, fans will be able to turn on RTVE.es to podcast #MelfestSpain, lead by director Cesar Vallejo (RTVE.es) and journalist Irene Mahía (RTVE.es), joined by choreographer and dancer Giuseppe di Bella (Eurovision 2015) and composer Tony Sánchez-Ohlsson (songwriter of Eurovision hits "Quédate conmigo", "Amanecer", "I love you mi vida"). In addition, Sanchez-Ohlsson will help with translations from Swedish into Spanish. Join the discussion with hashtag #melfestspain. 30-seconds long audio clip of Molly Sanden's Melodifestivalen entry has leaked on various international platforms on 15 February. It was removed shortly after being discovered. "There has not been any intent of the artist or the record company, in all communication it has been made clear that the release date should be set on 28 February. That means there are no grounds for disqualification. However, it is extremely unfortunate that the error has occurred and we strongly recommend that the record companies for the future are extremely clear in all communications with all of their sales channels", says Christer Björkman, Executive Producer of the Melodifestivalen 2016. In order to neutralize the potential benefit SVT decided to give the same opportunity to preview all the entries from the 4th semifinal for a limited time. 30-second extracts will be published on svt.se/melodifestivalen at 17:00 today, Tuesday, and will be available for 24 hours. Thursdays, 11-17 (after performers have rehearsed): Watch and listen to 30 seconds of each artist's rehearsal. Additional plans for Week 1 (including live Periscope chats with artists, hosts and special guests) are available here. Swedish broadcaster SVT usual was selecting it's Eurovision Song Contest entry from the Melodifestivalen competition. At least 28 songs were to be competing in the 2016 Melodifestival. The entries competing in the 2016 Melodifestival were: 14 entries that the selection panel chooses from amongst the submissions to the Regular contest and Public contest; and 13 entries comprising either musical works created by composers/songwriters that SVT has invited or entries that SVT selects from amongst the submissions; plus one entry from "Svensktoppen Nästa". Entries were to be submitted by being uploaded as a SOUND file to svt.se/melodifestivalen from 1 September 2015 to 8.59 am on 16 September 2015. 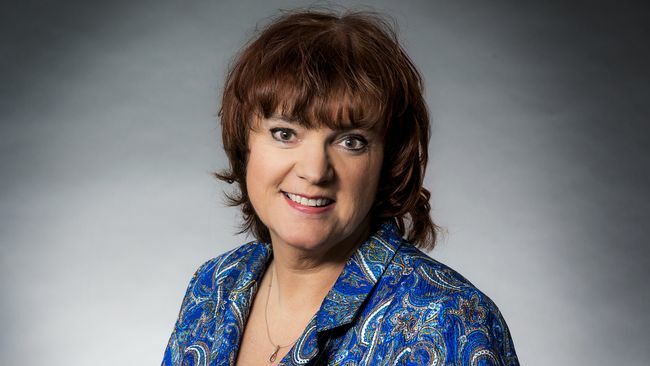 This year, Anette Helenius took the job as project manager for Melodifestivalen 2016. Between 2006 and 2009 she worked as a production manager for the program. She will lead this year's project along with executive producer Christer Björkman. Helenius takes over from Maria Ilstedt, project manager and recipient of this year's honorary award in Melodifestivalen web prize, and Christel Tholse Willers, chief-editor of the Melodifestivalen 2015. Edward af Sillén returns to the role of content producer (who debuted in the role in 2009 and worked on it till 2013). As earlier, he will write the script together with Daniel Rehn, helped by David Sundin, and collaborating closely with the television producer Ulrica Örn. Besides new project manager Melodifestivalen got a new logo. "We wanted to refresh ourselves before the previous logo is starting to feel old. The logo we have had since 2011 has worked very well on TV but has been difficult to handle in the press and other media. We wanted to have one that works on a wider scale. We have also the 15th anniversary of the modern version of the Melodifestivalen, and the new logo will be seen as a tribute", says Anette Helenius. Logo has been developed by design group Dallas. Swedish citizens and/or persons registered as resident in Sweden (on 1 September 2015 or later) were allowed to compete in the contest as composers/songwriters. Persons who are not Swedish citizens or registered residents as of 1 September 2015 could compete in the contest provided that their entry has at least one composer/songwriter who meets the requirements. It is SVT's intention to reserve approx. 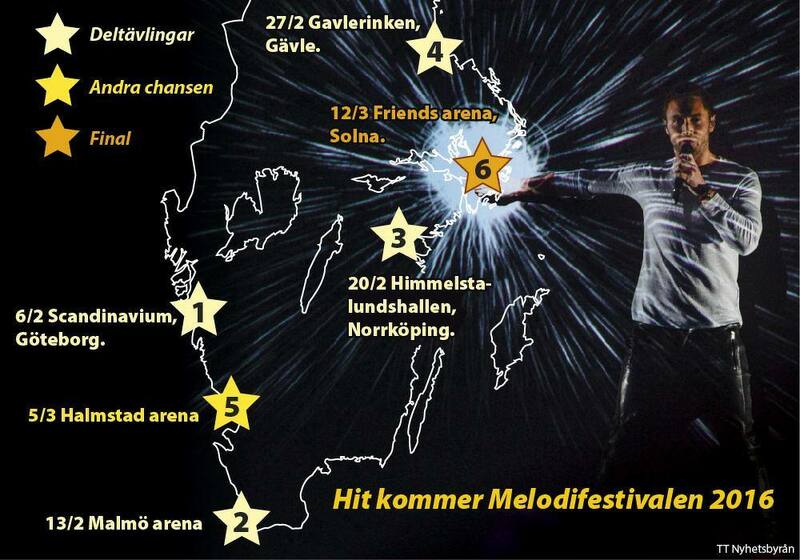 30% of the contest's places for entries sung mainly in Swedish. The same song could be submitted as separate entries if it is sung in different languages. It is SVT's intention to reserve at least 50% of the contest's places for entries written by female composers/lyricists either alone or with male colleagues (only applies to the Regular contest). Only works that have not previously been made publicly available – be it through public transmission, performance, publication, distribution or otherwise – could compete. The requirement against previous publication/distribution precludes the release of either the tune or the lyrics to the public in any way or format, be it on disk, cassette, video, film, in printed form, etc. The requirement against previous public performance precludes its performance at concerts or similar. The requirement against public transmission precludes its broadcast or public dissemination via radio, TV, internet or mobile telephone network. As in the last year, songs finishing in semifinals on 3-7 places can be released publicly after the end of the show, but songs qualifying to the finals can not be released until the end of the 4th semifinal. Only entries longer than two (2.00) minutes but shorter than three (3.00) minutes could compete. An entry falling either side of this time band will remain in the selection process on condition that the judges deem it possible to re-arrange the song to the accepted length and that the composer(s)/songwriter(s) consent to the fact and execution of the required modification. Wholly instrumental entries will not be accepted; songs must include vocals, sung or spoken. Entries could be submitted in any language, which will remain the language of performance in the 2016 Melodifestivalen unless SVT instructs otherwise in connection with the selection process. Participating artists must be at least 16 years of age before the entry's first day of competing for the 2016 Eurovision Song Contest. However, the artist selected for the 2016 Melodifestivalen is not necessarily the one who will represent Sweden at the ESC, and SVT reserves the right to replace him. A maximum of eight persons may take part in the performance of a competing entry in the Melodifestival. When representing Sweden in the European Song Contest, however, this number is reduced to six. The provision of instrumental backing tracks is a condition of entry in the contest. If these backing tracks include a pre-recorded chorus, the chorus may not feature the performing artist(s), who must sing live. The entry that is to represent Sweden at the ESC will not be allowed to use such prerecorded choruses on its backing track at all. The selection panel was choosing entries from amongst the submissions to the Ordinarie tävling (Regular contest), for which both lyrics and music must have been written by at least one composer/songwriter who has already had a musical work published. The same panel also was selecting five entries from the submissions to the Allmänhetens tävling (Public contest), which only accepted songs by composer(s)/songwriter(s) who have NOT already had a musical work published. These five entries were qualified directly amongst the best top 100 entries. The Public Contest had no guaranteed place in 2016 Melodifestivalen. Axel Scholtzé, 22, production assistant. 2450 entries have been submitted, of which 1982 to the Regular contest, and 468 to Public contest. This is 273 entries more than last year. In terms of the number of entries submitted Melodifestivalen is the largest selection for the Eurovision Song Contest. Among the largest foreign counterparts are Germany, Norway and Denmark, where last season were submitted 1213, 800 and 687 entries respectively. The final of "Svensktoppen Nästa" was held on 6 September in Gothenburg. Michael Fannon was declared as the winner, but it was decided that Smajling Swedes will get a place among the 28 participants of Melodifestivalen 2016. 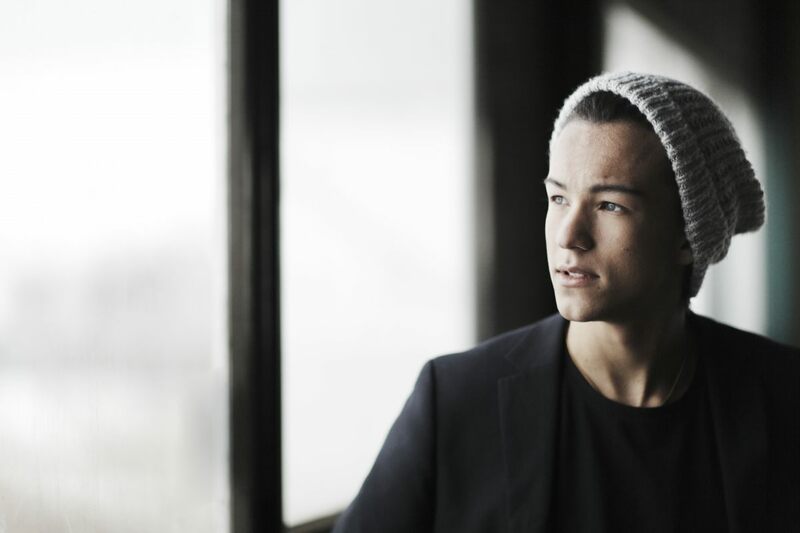 Since 2012, the winner of the "Svensktoppen Nästa" was offered a place in Melodifestivalen, but this year he did not automatically get a place in the contest, but rather the jury appointed one of the finalists as the bonus prize. "Svensktoppen Nästa" is radio music where the visual part is not at all important, while in Melodifestivalen it is the whole more important. It is not only about the song but it must be able to translated into a show on the stage as well", explained Christer Björkman. 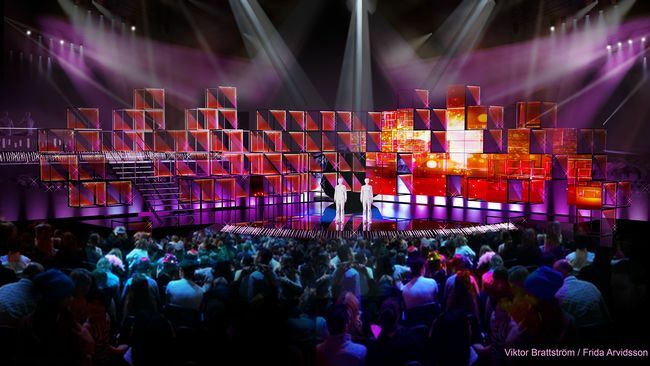 Halmstad has debuted as a host city for the Melodifestivalen, Second Chance show took place in Halmstad Arena. Semifinal 1 took place on February 6, in Gothenburg, Scandinvium (hosted semifinals every year from 2003 to 2015); Semifinal 2 on February 13 in Malmö, Malmö Arena (2004, 2009-2015); Semifinal 3 on February 20, Norrkoping, Himmelstalundshallen (2002, 2009); Semifinal 4 on February 27, Gavle, Gavlerinken arena (2007); Second chance on March 5, Halmstad, Halmstad Arena (debut); Final on March 12, Stockholm, Friends Arena (2013-2015; 2002-2012 at the Ericsson Globe, also in Stockholm). Tickets for the shows have gone on sale on Thursday, 29 October. 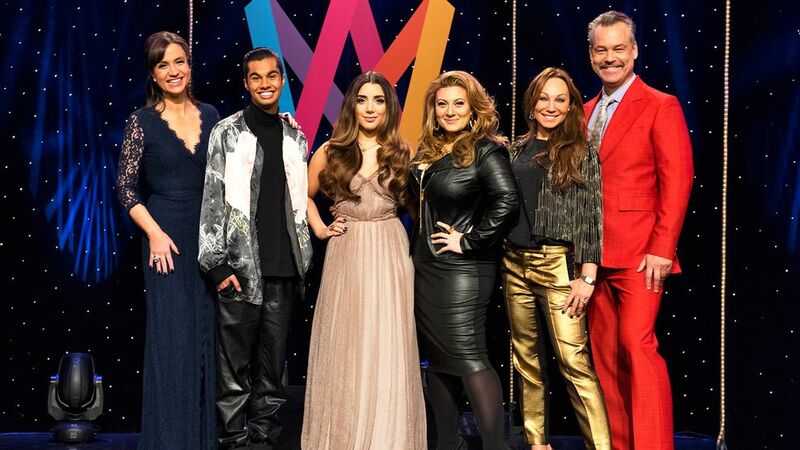 Gina Dirawi hosted all shows joined by host and comedian Petra Mede (1), host and comedian Henrik Schyffert (3), singer Sarah Dawn Finer (4), singers and actors Ola Salo and Peter Jöback (Second Chance) and comedian William Spetz (Final). On 3 February it was announced that Charlotte Perrelli was withdrawn from the hosting semifinal 2 because of her participation in the Comviq mobile advertising campaign, however she was invited to have extended guest role in the show. Hosts of the shows performed: Semi 1: "Hela Sveriges fest" and with Lasse Kronér "Allt är Eurovisions fel" (It's all Eurovision's fault), Semi 2: "Flickorna från Sverige", Semi 3: "Under Pressure" and "Love Story", Semi 4: "Du och jag igen" (Australian 2015 entry by Guy Sebastian) and with Jon Henrik Fjällgren - "Hela Sveriges sång" (All of Sweden's song), Second Chance: "Skyfall" by Adele, "Sing Me Out". Guest acts: Semi 1: 2006 Spanish Eurovision entrants Las Ketchup with "The Ketchup Song (Aserejé)", Semi 2: Charlotte Perrelli with "Atemlos durch die Nacht" of Helene Fischer, Second Chance: Hasse Andersson - "Guld och gröna skogar", Final: Sarah Dawn Finer as Lynda Woodruff, Måns Zelmerlöw with a children's choir - "Heroes", and a medley of past Melodifestivalen hits to celebrate the fifteenth anniversary of the current format of the competition: "Adrenaline" (2002), "Don't Stop Believing" (2015), "Kom" (2010), "Kom och ta mig" (2002), "Bröder" (2014), "Moving On" (2009), "Live Forever" (2007), "Snälla snälla" (2009), "Sing For Me" (2006), "Håll om mig" (2005), "Begging" (2013), "Vem é dé du vill ha" (2002), "Lay Your Love on Me" (2008), "Hero" (2008), "La dolce vita" (2004). Recurring interval act include Jonas Gardell's schlager school and dramatic readings of past Melodifestivalen song lyrics by Swedish actors. In addition to SVT 1 show was broadcasted live from 20:00 to 21:30 on radio P4 hosted by Carolina Norén. Additional related programming such as interviews, hosted by Carolina Norén and Micke Cederberg, were aired every Saturday from 21:30 to 22:30 on P4 Musik. On 5 February was also launched web channel P4 Melodifest, which offers Melodifestivalen and Eurovision playlist, and will broadcast around the clock daily until May 20 at sverigesradio.se and app Sveriges Radio Play. The final was also broadcast on SVT24 with sign-language performers as well as via the virtual reality mobile application SVT 360. International broadcasts of the final took place on RÚV in Iceland, on NRK3 in Norway and on Yle Fem in Finland, while RTVE Spain website provided live online Spanish commentary. 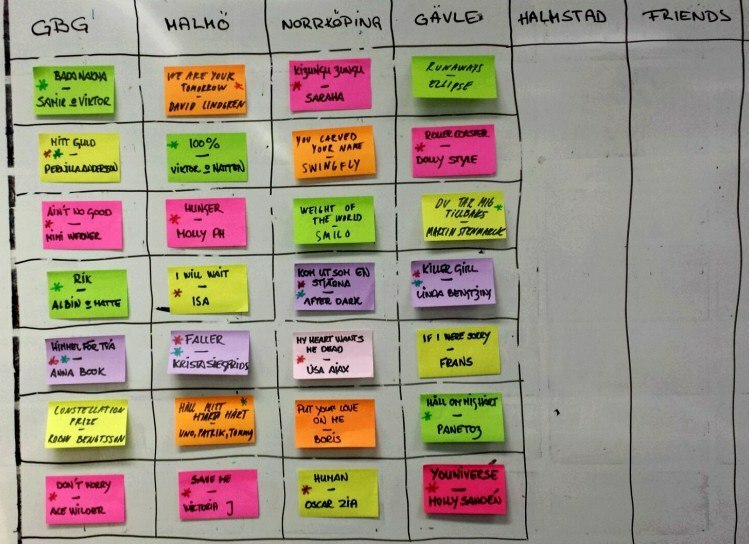 Mobile app voting, which arouse many debates last year, again was used during Melodifestivalen 2016. However, this time it was allowed to vote with hearts not only during the performance of the song in question, but during the whole show. As in last year, app users were able to give maximum up to 5 votes for each song with the help of the app. Mobile app voting was free of charge, but have the same weight as regular phone and SMS voting. "We wanted to minimize risk of viewers missing the time slot voting for their favourite entries", said project manager Anette Helenius. As usual, it was also possible to vote via telephone and SMS, vote opened when program started at 20:00. There were two numbers to choose from: one costing 3.60 SEK and the other 9.90 SEK, of which 8.90 goes to Radiohjälpen. It was possible to vote 20 times by telephone and text messages per entry, that means using all options it is possible to cast up to 85 votes every show. In the final each group of 11 groups of jurors was giving 11*43=473. Telephone and SMS voting ended only about five minutes after the completion of the jury's vote. Viewers also had 473 votes to share, so they were divided according to the percentages of the votes received. Stage design, created by Frida Arvidsson and Viktor Brattström has been revealed on 22 January. The stage this year will be visually divided in two parts, a LED screen side on the right hand, and part based on the light effects on the other side. The edge of the stage will be rounded with a curved rail camera that will be able to create new images. "We have more intimate stage than before. The crowd comes near the artist, says Frida Arvidsson. Green room got a new look as well, and this year will be connected with the stage at a level of four meters above the ground. Graphic designer David Nordström, who worked last year with the winner Måns Zelmerlöw, this year will be providing graphics to the whole Melodifestivalen. 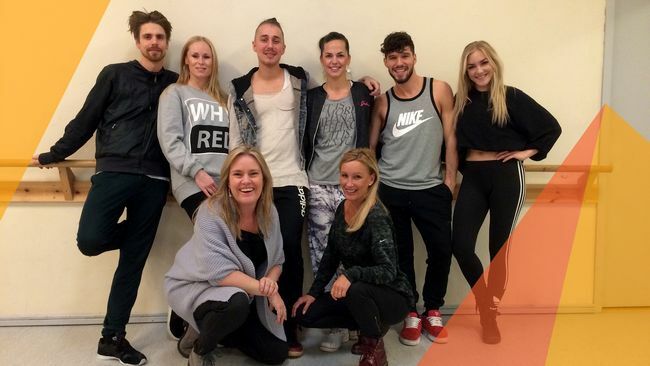 Backing teams were made this year of backing singers Mia Stegmar and Jonathan Jaarnek Norén and dancers Daniel Koivunen, Edin Jusuframic, Linda Hansson, and Nathalie Akselsen. Mia Stegmar is a familiar name, as she was member of huskören before and competed with her band Itchycoo. 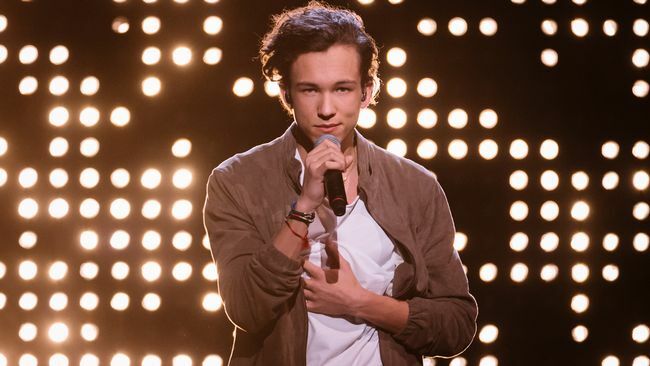 Idol participant Jonathan Jaarnek Norén is a new name for this year. This year two more dancers were added to the team, because they will also take part in each opening and interval act. Daniel Koivunen and Edin Jusuframic have been voted dancers of the year in 2013 and 2015 online awards. They were joined by the veteran Linda Hansson and newcomer Nathalie Akselsen. Votes casted in the shows: 4,389,687 - Semi 1, 4,647,934 - Semi 2, 4,389,051 - Semi 3, 4,592,313 - Semi 4, 6,059,917 - Second Chance, 12,643,275 - Final. Viewers: 3,279,000 - Semi 1, 3,167,000 - Semi 2, 3,241,000 - Semi 3, 3,079,000 - Semi 4, 2,921,000 - Second Chance, 3,464,000 - Final (3,736,000 last year). On 4 February, two days before the show, it was announced that Anna Book's song "Himmel för två" has been disqualified from the competition. As was discovered, it's English version "Taking Care of a Broken Heart", has competed in Moldovan preselection 2014 performed by Felicia Dunaf. Song of Dunaf was published in studio version, as well as was performed at the live auditions, which also were streamed online live. At the end she has qualified to the televized stage of the preselection with different song. Songwriters of the song competing in Moldova were listed as Aidan O Connor, Svin Inge Sjoberg, Larry Forsberg, Lenneart Wastesson - Aidan O Connor, Svin Inge Sjoberg. Songwriters of the Swedish entry - Sven-Inge Sjöberg, Lennart Wastesson, Larry Forsberg, Camilla Läckberg, while the latter wrote Swedish lyrics for it. Rules of the Swedish preselection are clear in this regards: "Only works that have not previously been made publicly available – be it through public transmission, performance, publication, distribution or otherwise – may compete. The requirement against previous publication/distribution precludes the release of either the tune or the lyrics to the public in any way or format, be it on disk, cassette, video, film, in printed form, etc. The requirement against previous public performance precludes its performance at concerts or similar. The requirement against public transmission precludes its broadcast or public dissemination via radio, TV, internet or mobile telephone network". "Our rules are crystal clear. If the song was published before the competition, it may not take part in the contest. This is of course deeply unfortunate for everyone involved and I really feel for Anna Book who was hit hard by this", says Christer Björkman, executive producer. Singer was offered to perform in the interval act of the show. International juries: Bosnia and Herzegovina, Cyprus, Belarus, The Netherlands, Estonia, Israel, Italy, Slovenia, France, Norway, Australia. Франс Йеппссон-Уолл родился 19го декабря 1998 года в Истаде. Йеппссон-Уолл говорит на двух языках, потому что его отец родом из Нигерии, вырос в Англии. Уже в возрасте 7 лет к Франсу пришло национальное признание. В мае 2006 года он, вместе с группой Elias, выпустил футбольную песню, приуроченную к Чемпионату мира по футболу 2006 Who's da Man​​, посвященную шведскому футболисту Златану Ибрагимовичу. Все началось с того, что Франс напевал дома "Alla vill till himmelen", и взрослый знакомый семьи, который также пишет музыку, услышал потенциал в возрасте 6-летнего ребенка, и предложил ему записать в студии песню, которую он недавно написал. Песня возглавила национальный хитпарад Hitlistan и оставалась на первой строчке на протяжении 10 недель. Она была продана в количестве в 60 тысяч копий и стала дважды платиновой. Песня была записана в англоязычной и шведской версиях. Elias и Франс также исполнили песню вживую на концерте Allsång på Skansen. В декабре 2006 года Франс представил рождественский сингл Kul med Jul, и после этого выпустил дебютный двойной альбом Da Man. В 2008 году он и Elias записали еще одну футбольную песню, ставшую официальной песней команды Швеции на Чемпионате Европы по футболу, Fotbollsfest, которая также возглавила национальные чарты. После этого Франс жил более спокойной жизнью. "В последующие годы я постарался немного замедлиться, найти себя, попытаться понять, чем же я хочу заниматься в будущем, я просто продолжал ходить в школу и жить нормальной жизнью школьника". Что же касается будущего, то у Франса до сих пор нет определенных планов, но в настоящее время он счастлив продолжать заниматься музыкой. "Музыка все еще интересует меня. Мы записали несколько песен, я также спел в рекламном ролике Toyota", говорит он. В 2015 году Франс снова работал в студии над новым материалом с продюсерами из лейбла Cardiac Records. Песню "If I Were Sorry" написали Оскар Фогельстрем, Микаель Сакселл и член группы Elias и продюсер предыдущих хитов Франса Фредрик Андерссон. Фредрик Андерссон выступал в Melodifestivalen 2002 с группой Solo и песней "Ge mig himlen för en dag". Фредрик также была автором песни Бьорна Ранелида и Сары Ли "Mirakel" в Melodifestivalen 2012. "Я проводил какое-то время в их студии, и потом мы решили записать песню вместе. Потом мы постепенно стали работать над ней. Мы и подумать не могли, что она станет настолько успешной, когда мы сидели в Истаде и писали ее", говорит Франс. Представители рекорд-лейбла предложили подать песню на участие в Melodifestivalen, что встретило определенный скептицизм со стороны ее создателей. Но оказалось, что песня понравится прессе, обойдет всех конкурентов в опросе зрителей в зале, и выйдет напрямую в финал национального отбора, почти ровно 10 лет спустя после предыдущего выступления Франса на большой сцене. Франс впервые исполнил трек в Евле во время четвертого и последнего полуфинала национального отбора, напрямую выйдя в финал шоу во Friends Arena, в Стокгольме, который прошел 12го марта. Сингл на композицию был выпущен сразу после выступления 28го февраля и достиг первой строчки в Sverigetopplistan, видеоклип на нее вышел 2го марта. Клип был снят в Истаде, где до сих пор проживает Франс. За короткое время песня была проиграна в стриминговых сервисах 6.5 миллионов раз (и это несмотя на наличие других серьезных конкурентов в Melodifestivalen, а также новые мировые треки от Зейна или Рианнны), и 11го марта, за день до финала Melodifestivalen, Франсу был вручен платиновый диск. "Я не хочу рисовать свою собственную картину песни, но хочу прежде всего, чтобы люди, которые слушают ее, сами интерпретировали ее и находили в ней каждый свое значение"
Фредрик Андерссон - автор, продюсер и исполнительный директор лейбла Cardiac Records. В 2015 году он написал и спродюсировал один из самых популярных треков Швеции - Badpojken - Johnny G. Именно Фредрик в 2006 году написал хит Франса Who's da man, с которым тот оставался на первой строчке чартов на протяжении 21 недели. В прошлом году Фредрик стал обладателем премии от коммуны Истада. Приз был вручен за инициативу основания нового музыкального курса в Институте Музыки и Продюсирования IMP. Оскар Фогельстрем - шведский продюсер, автор песен, композитор и аранжировщик. Его работы можно видеть по всему миру, на концертах, в кинофильмах, рекламных роликах, и сценариях на протяжении последних 15 лет. Среди его клиентов были такие компании, как Coke, Blackberry, Reebok и IKEA, а также известные исполнители и режиссеры кинофильмов. Микаель Сакселл - один из наиболее разносторонних авторов Швеции за последние годы. На его счету многочисленные золотые и платиновые премии в Швеции и за рубежом за последние три десятилетия, он твердо верит в магию момента и запечатлевает его в песенной форме. Песни Сакселла записывали канадские рокеры BTO, легенда кантри музыки Дики Ли, Кейт Рейд из Procol Harum, Терри Джекс, джаз-музыкант Ульф Вакениус, а также множество других международных и скандинавских артистов. Лотта Броме станет комментатором прямых эфиров на телеканале SVT. Она обладает значительным опытом ведения программ на радио и телевидении. Также она входила в состав шведского жюри на Евровидение в прошлые годы. "Я думаю, что это большая честь для меня, и я была счастлива, когда меня об этом попросили. Я всегда интересовалась конкурсом Евровидение, и быть его комментатором для меня было своего рода мечтой". Лотта говорит, что с нетерпением ждет возможности стать частью мира Евровидения. "Будет весело попасть в эту сферу, поработать со всей командой, мне кажется, что они все очень профессиональны". Она считает, что самой сложной задачей для нее станет уследить за баллами, но уверена, что сможет справиться с ней. "Когда мы подавали заявку на участие в конкурсе, я совершенно не ожидал победы. Мы подавали ее просто для забавы, и для того, чтобы представить меня публике как взрослого артиста, меня и мою песню. Но о победе мы даже бы и не задумывались", говорит Франс. Он думает, что основной причиной успеха является то, что "Песня действительно отражает меня самого, и потому я могу исполнять ее очень уверенно, думаю, что зрители это поняли и им это понравилось". Режиссерами выступления Франса на Мелодифестивалене стали Лотта Фюребек и Мари Рибергер, и его поддерживал только один бэк-вокалист Йонатан Яарнек Норен, расположившийся за сценой. Франс говорит, что он чувствует себя уверенно на сцене в одиночестве: "Если вы взглянете на мой скрипт, то он говорит только: посмотри на три камеры и все остальное время просто будь самим собой. Потому я и остаюсь уверенным, получаю удовольствие от данного момента, и потому это все очень просто для меня". Он пока не уверен, будут ли в его номер для международного конкурса вноситься какие-либо изменения: "Перед финалом, мы провели целый день в размышлениях, хотели придумать что-то свежее и интересное. Но в конце-концов остановились на том же, что и было ранее. Поэтому, наверное, мы ничего не будем менять. Но никогда нельзя предсказать заранее". Новая глава делегации Швеции Мари Рибергер рассказала вебсайту SVT об изменениях в номере, и о том, как они постараются передать шарм Франса всей Европе. В этом году, у Швеции новая глава делегации на конкурсе Евровидение. Кристер Бьоркман, который обычно несет на себе эту ответственность, является продюсером всего конкурса, и потому за Франса и шведскую делегацию отвечает Мари Рибергер. Она была ассистентом Бьоркмана с 2012 года, и продюсером Мелодифестивалена уже несколько лет. Также, она вместе с Лоттой Фуребэк создала сценический номер, который принес Франсу победу на Мелодифестивалене. Риберген начинала свою карьеру в качестве танцовщицы, работала в мюзиклах и театрах, а также многие годы как певица. С 2005 года она стала работать хореографом, а с 2010 года отвечает за общую подготовку номеров Мелодифестивалена. Мари Рибергер рассказывает, что в номере Франса не произойдет каких-либо значительных изменений. "Мы лишь сделаем его немного более эффективным, адаптируем его к сцене Евровидения, но это все, что я могу рассказать о нем на данный момент". Швеция победила на конкурсе в прошлом году и нацелена показать такой же результат и на этот раз. "Я думаю, что всем уже понятно, что Франс получит хороший результат. Мы не знали, как к нему отнесутся международные жюри на Мелодифестивалене, но они приняли его с распростертыми объятиями, потому, я надеюсь, что и вся Европа воспримет его также", говорит Рибергер. Франс - самый молодой победитель Мелодифестивалена с победы 16-летней Каролы с "Främling" в 1983 году, и Мари Рибергер вместе с другими членами делегации стараются сделать подготовку для него как можно более простой. "Мы много работаем вместе, чтобы он не испытывал излишнего давления. Ему всего лишь 17 лет, и потому нам приходится облегчать для него весь процесс". Сейчас Франс совмещает подготовку к Евровидению со школой. "Мы стараемся дать ему как можно больше возможностей не отставать в школе. Но, конечно, ему придется пропустить занятия, когда начнется сам конкурс, и нагонять уже после Евровидения", говорит Мари Рибергер. Конкурс в этом году проходит в Швеции, и Мари Рибергер видит это большим преимуществом. "Будет чувствоваться большая поддержка со стороны тех, кто хочет, чтобы Франс показал хороший результат. Выступать дома намного лучше". 3го мая пройдет первая репетиция Франса в Арене, и у Мари Рибергер есть самая главная задача на всю Евронеделю. "Постараться успокоить его, чтобы он чувствовал себя комфортно". Великобритания и США выражают наибольший интерес к представителю Швеции Франсу и его песне Евровидения. "Больше всего интерес увеличивается в Великобритании", говорит Фредрик Андерсен из студии Cardiac Records в Истаде. На этой неделе Франс вернулся домой в Истад после выступления и серии интервью в Лондоне. Статистика показывает, что интерес к песне Швеции резко растет в Великобритании и многие полагают, что песня может стать хитом в этой стране, пишет Skånska Dagbladet. В Швеции Франс продолжает стабильно оставаться на вершине чартов. "Еще одна страна, демонстрирующая большой интерес к Франсу - это США. Мы уже заключили соглашение о сотрудничестве с Columbia Records в Великобритании, компанией, которая обладает большим списком известных артистов, а также Columbia Records в США. Увеличивающийся интерес в странах с наиболее плотным рынком очень радует нас. Соглашение с Британией было подписано уже несколько дней спустя после полуфинала в Евле. Соглашение с США мы подписали в четверг перед финалом национального отбора в Швеции, поэтому оба договора действовали бы вне зависимости от того, попал бы Франс на Евровидение или нет". "Возможно, помогает то, что у Франса английское происхождение. Когда мы были с ним в Лондоне, то все думали, что он англичанин. У него лондонское произншение. В Англии он чувствует себя как дома, и уверенно общается на английском языке". Местный интерес к Франсу продолжает быть огромным. "Мы отказываем примерно на 90% предложений, но иногда есть вещи, которые просто необходимы", говорит Андерссен. "В воскресенье у нас эфир на TV4, и после этого еще одно мероприятие. Мы концентрируемся на репетициях выступления. Будут несколько изменений, но в общем, номер останется практически таким же"
Швеция завершила съемки своей открытки для Евровидения. В ней можно будет увидеть родной город Франса Истад и его округу. Съемка прошла за одни сутки. "Мы начали подготовку в четыре часа утра, а в пять мы уже были на Алес Стенар для того, чтобы встретить там рассвет солнца", говорит глава делегации Мари Рибергер. В открытке также можно будет увидеть, как Франс играет на пианино в Юстадском монастыре, его музыкальную студию, а также он приведет всех на пляж. "День завершился на побережье, где Франс с друзьями играли в футбол и жарили зефир и колбаски", рассказывает Рибергер. Для программы Inför Eurovision в этом году был подобран новый состав экспертов. В 4х программах Хелена Папаризу, Оскар Зиа, Ньол Баджие из Panetoz и Виктория Йоханссон обсудят конкурсантов Евровидения 2016. "Я ожидаю увидеть очень разнообразный и широкий по стилям состав участников, и интересно, сможем ли мы найти какие-то бриллианты среди них", говорит Виктория. Кристер Бьоркман, продюсер Евровидения 2016 возвращается в качестве ведущего программы. "Мне очень нравится погружаться в песни, принимающие участие в конкурсе. Эксперты этого года смогут оживить дискуссию, поскольку они все сильные личности с большим опытом участия в Евровидении и Мелодифестивалене", говорит он. Победитель Евровидения 2015 Монс Зельмерлев, который вместе с Петрой Меде станет ведущим Евровидения 2016, расскажет во время программы интересные истории из-за кулис Евровидения. Не пропустите шоу 26, 29 апреля, 3 и 6 мая в 20:00 на SVT1. Запись программы можно увидеть онлайн на SVT Play. Определены обладатели специальных веб-премий Мелодифестивалена 2016. Как и сам шведский отбор, интернет премия стала триумфом Франса и его песни "If I Were Sorry" - она стала песней года, а Франс - артистом года, прорывом года и обладателем в сумме шести призов. Приз композитору года получили Джой и Линнеа Деб и Антон Хорд аф Сегерстад. Лучшая певица года - Лиса Аякс. Лучшая группа - Panetoz. Лучшее сценическое шоу и хореография - Эйс Уайлдер. Французский пионер электронной музыки Жан-Мишель Жарр считает, что у Франса есть все шансы одержать победу на Евровидении 2016. "У него есть весь необходимый потенциал для этого. И в Швеции вы сейчас являетесь гораздо большими специалистами в этом, нежели Франция. Я думаю, что это потому, что проведение Евровидения обошлось бы слишком дорого для Франции и потому мы всегда посылаем довольно странные заявки. Боюсь, что вам придется организовывать Евровидение снова в следующем году, потому что у вашей песни хорошие шансы", говорит он. Франс может спать спокойно. ЕВС отрицает обвинения в том, что песня, победившая на Melodifestivalen, может быть плагиатом. Незадолго до финала национального отбора, в прессе появились обвинения в том, что песня Франса "If I Were sorry" может быть плагиатом песни Матта Саймона "Catch & Release". Сейчас, шведскую песню изучила организационная группа Европейского Вещательного союза, и супервайзер конкурса Евровидение подтвердил, что "Никто из нас не думает, что это - плагиат". Он подтвердил, что ЕВС не будет продолжать расследований, если не поступит юридической претензии со стороны авторов возможного оригинального трека. Pias Recordings, рекорд-лейбл песни "Catch & Release" планировал провести собственное расследование, но его результаты неизвестны. "Мы хотим привлечь жюри со всех концов Европы - юга, севера, востока и запада. Но при этом не стоит забывать, что голосование жюри - это часть шоу", говорит Кристер Бьоркман. "У нас в жюри будут и страны очень серьезно относящиеся к конкурсу, представленные профессионалами, которые уже не в первый раз в нем принимают участие - например наш друг Клитос Клиту. Новыми странами на этот раз становятся Австралия и Беларусь. Мы особенно рады видеть Австралию - ведь в прошлом году мы с ними обменялись высшими баллами"
30-секундный аудио клип песни Молли Санден был ошибочно размещен на различных международных платформах 15го февраля. Он был снят с публикации вскоре после обнаружения. "В этом не было намерения ни самого артиста, ни его рекорд лейбла, во всей переписке они очень ясно указывали, что дата релиза должна быть установлена на 28 февраля. Потому в данном случе нет повода для дисквалификации. Однако, мы весьма сожалеем о случившемся, и настоятельно рекомендуем всем звукозаписывающим компаниям на будущее кристально ясно вести все переговоры с их агентами по дистрибуции и продажам", отметил исполнительный продюсер Мелодифестивалена 2016 Кристер Бьоркман. Для того, чтобы нейтрализовать последствия, телеканал SVT решил дать одинаковый шанс всем участникам 4го полуфинала продемонстрировать отрывки своих песен. 30-секундные ролики будут размещены на сайте svt.se/melodifestivalen сегодня в 19:00 Москвы, и будут доступны на протяжении 24 часов. Четверг, 11-17 (После репетиций каждого конкурса): вы сможете увидеть и услышать 30 секундные видео отрывки каждой репетиции. Более детальное расписание графика 1го полуфинала, включая Periscope чаты с участвующими артистами, ведущими и специальными гостями можно найти здесь. Шведский национальный вещатель SVT, как обычно, выбирал песню для конкурса Евровидение посредством национального конкурса Melodifestivalen. В нем должны были принять участие по меньшей мере 28 композиций. В их число вошли: 14 песен, которые отборочное жюри выбрало из заявок поданных на участие в обычном и публичном конкурсе; 13 песен, созданных композиторами и авторами, приглашенными напрямую, или выбранные из числа заявок представителями телеканала SVT, плюс один участник из радиоконкурса "Svensktoppen Nästa". Заявки принимались путем загрузки из в виде звукового файла на сайт svt.se/melodifestivalen с 1 сентября 2015 года до 8:59 утра 16 сентября 2015 года. В этом году руководителем проекта Melodifestivalen 2016 была назначена Анетт Хелениус. С 2006 по 2009 году она была продакшн-директором программы. Возглавлять проект она будет вместе с его исполнительным продюсером Кристером Бьоркманом. Хелениус заменит Марию Илстедт, руководителя проекта и обладательницу веб-премии Melodifestivalen в 2015 году, и Кристел Толсе Виллерс, шеф-редактора Melodifestivalen 2015. Эдвард аф Силлен вернется к своей роли контент продюсера (он занимал эту позицию с 2009 по 2013 годы). Как и в прошлом, он станет автором сценария конкурса вместе с Даниелем Реном, при помощи Давида Сундина и в тесном сотрудничестве с телепродюсером Улрикой Ёрн. Помимо нового руководителя проекта Melodifestivalen в этом году получил и новый логотип. "Мы захотели несколько освежить нас имидж, пока прошлый логотип не стал ощущаться устаревшим. Мы хотели создать такой логотип, который бы смог работать в более широком применении. В этом году мы также отмечаем 15-летие современной версии Melodifestivalen, и потому новый логотип стал подарком к этому юбилею", говорит Анетт Хелениус. Логотип был разработан дизайнерской группой Dallas. В национальном отборе в качестве авторов песен допускалось участие граждан Швеции, и/или лиц, зарегистрированных как резиденты в Швеции (на 1 сентября 2015 или более позднюю дату). Лица, которые не подпадают под эту категорию, могли принимать участие в отборе только при условии, что у их композиции имеется по меньшей мере один соавтор, который бы соответствовал установленным требованиям. Телеканал SVT планировал отдать примерно 30% мест в конкурсе песням, исполняемым на шведском языке. Одна и та же песня, при этом, могла быть отдельно заявлена на нескольких языках. SVT также планировал зарезервировать по меньшей мере 50% мест в конкурсе для песен, написанных женщинами-композиторами или авторами текста самостоятельно или в сотрудничестве с коллегами-мужчинами (применяется только к обычному конкурсу). Только песни, которые ранее не были представлены публике любым из способов: в эфире, во время выступления, публикации, дистрибуции или др. способами могли принимать участие в конкурсе. Требование, запрещающее публикацию песни, также не допускает выпуск ее музыки или текста в любом формате: на диске, кассете, видео, фильме, в печатной форме и т.п. Данное требование также не допускает исполнения песни на концертах или подобных выступлениях. Передача в эфир путем трансляции по радио, ТВ, интернету или мобильной телефонной сети также запрещена. Как и в прошлом году, песни занявшие в полуфиналах 3-7 места могли быть немедленно выпущены публично и только песни вышедшие в финал напрямую не могли быть выпущены до конца 4го полуфинала. В конкурсе могли принимать участие только песни длиною от двух до трех минут. Если песня заходит за одну из допустимых границ, она могла быть допущена до отбора в случае, если члены жюри сочтут, что будет возможным переделать композицию до допустимой длины, и при согласии авторов песни на исполнение данной модификации. Полностью инструментальные песни до конкурса не допускались, композиции должны были включать в себя вокал, будь то песенный или речитатив. Песни могли исполняться на любом языке, который оставался языком исполнения и для Melodifestivalen 2016, если телеканал SVT не давал иные инструкции по данному вопросу. Участвующим артистам должно было исполниться по меньшей мере 16 лет на день первого полуфинала конкурса Евровидение 2016. Однако, артист выбранный для участия в Melodifestivalen 2016 не обязательно мог представить Швецию на Евровидении в случае победы на отборе, телеканал SVT сохраняет за собой право заменить исполнителя выбранной песни. В рамках национального отбора на сцене могли выступать до восьми человек, при этом в случае выхода на международный конкурс Евровидение, их количество должно было быть сокращено до шести. Предоставление инструментального трека являлось одним из условий подачи заявки на конкурс. Если фонограмма включала в себя записанный бэк-вокал, он не должен был содержать вокала солиста(-ов), которые должны выступать вживую. Песне, которая представит Швецию на конкурсе Евровидение, не будет позволено использовать записанных бэк-вокалов на фонограмме вообще. Отборочное жюри выбирало песни среди заявок, поданных на участие в Ordinarie tävling (Обычном конкурсе), где музыка и текст песни должны были быть написаны по меньшей мере одним композитором или поэтом-песенником, чьи песни уже издавались официально. То же отборочное жюри отслушивало и выбирало пять лучших песен из заявок, поданных на участие в Allmänhetens tävling (Публичном конкурсе), где могли участвовать только авторы-новички, никогда ранее не издававшие своих произведений. Эти пять песен вошли в число лучших 100 заявок, которые рассматривались жюри в следующем этапе. В этом году победителю Публичного конкурса не предоставлялось гарантированное место среди участников Melodifestivalen. Axel Scholtzé, 22, ассистент продюсера. Всего на участие в шоу были получены 2450 заявок, из них 1982 на участие в Обычном, и 468 на участие в Публичном конкурсе. Это на 273 заявки больше, чем в прошлом году. По количеству принимаемых заявок Melodifestivalen продолжает оставаться крупнейшим отбором на конкурс Евровидение. Среди наиболее масштабных отборов других стран Европы отборы в Германии, Норвегии и Дании, где в прошлом году было подано 1213, 800 и 687 заявок соответственно. Финал радиоконкурса "Svensktoppen Nästa" прошел 6го сентября в Гётеборге. Победителем шоу стал Микаель Фаннон, но место среди 28 участников Melodifestivalen 2016 получила группа Smajling Swedes. С 2012 года, победитель "Svensktoppen Nästa" получал автоматическое место в Melodifestivalen, но в этом году жюри вручило данное право другому финалисту проекта. "Svensktoppen Nästa" - радио конкурс, где визуальная часть не является самой важной, в то время, как Melodifestivalen - телевизионный конкурс и она играет намного большую роль. Дело не только в песне, но и в возможности показать шоу на сцене", объясняет Кристер Бьоркман. Халмстад дебютировал в качестве города проведения Melodifestivalen в этом году, шоу Второй Шанс прошло в Halmstad Arena. 1й полуфинал отбора состоялся 6го февраля в Гётеборге, Scandinavium (проводившем полуфиналы каждый год с 2003 по 2015), 2й полуфинал - 13 февраля в Мальмё, Malmö Arena (2004, 2009-2015); 3й полуфинал - 20 февраля, Норрчёпинг, Himmelstalundshallen (2002, 2009); 4й полуфинал - 27 февраля, Евле, Gavlerinken arena (2007); Второй шанс - 5 марта, Халмстад, Halmstad Arena (дебют); и, наконец, финал - 12 марта, Стокгольм, Friends Arena (2013-2015; в 2002-2012 финал проводился в Ericsson Globe, также в Стокгольме). Билеты на шоу поступили в продажу в четверг, 29 октября. Гина Дирави стала ведущей всех шоу. К ней присоединятся ведущая и комик Петра Меде (1), ведущий и комик Хенрик Скифферт (3), певица Сара Доун Файнер (4), певцы и актеры Ула Сало и Петер Йобак (Второй шанс) и комик Уильям Спетц (финал). 3го февраля стало известно о том, что Харлотт Перрелли была отозвана с роли ведущей 2го полуфинала из-за ее параллельного участия в рекламной кампании мобильного оператора Comviq, вместо этого ей была предложена расширенная роль гостьи шоу. Ведущие шоу исполнили следующие номера: 1 полуфинал: "Hela Sveriges fest" и вместе с Lasse Kronér "Allt är Eurovisions fel", 2 полуфинал: "Flickorna från Sverige", 3 полуфинал: "Under Pressure" и "Love Story", 4 полуфинал: "Du och jag igen" (песня Австралии на Евровидении 2015) и вместе с Jon Henrik Fjällgren - "Hela Sveriges sång", Второй шанс: "Skyfall" by Adele, "Sing Me Out". Гостевые номера: 1 полуфинал: Представители Испании на Евровидении 2006 Las Ketchup с "The Ketchup Song (Aserejé)", 2 полуфинал: Charlotte Perrelli с "Atemlos durch die Nacht" (в оригинале песня Helene Fischer), Второ шанс: Hasse Andersson - "Guld och gröna skogar", Финал: Sarah Dawn Finer в роли Lynda Woodruff, Måns Zelmerlöw с детским хором - "Heroes", и попурри хитов Мелодифестивалена для того, чтобы отметить 15-летнюю годовщину нынешнего формата конкурса: "Adrenaline" (2002), "Don't Stop Believing" (2015), "Kom" (2010), "Kom och ta mig" (2002), "Bröder" (2014), "Moving On" (2009), "Live Forever" (2007), "Snälla snälla" (2009), "Sing For Me" (2006), "Håll om mig" (2005), "Begging" (2013), "Vem é dé du vill ha" (2002), "Lay Your Love on Me" (2008), "Hero" (2008), "La dolce vita" (2004). Также, повторяющимся номером была Jonas Gardell's schlager school и выразительное чтение текстов прошлых хитов Мелодифестивалена в исполнении шведских актеров. В дополнение к SVT 1 шоу транслировалось в прямом эфире с 20:00 до 21:30 на радио P4 с ведущей Carolina Norén. Дополнительная программа, включающая в себя интервью, с ведущими Carolina Norén и Micke Cederberg, выходила в эфир каждую субботу с 21:30 до 22:30 на P4 Musik. 5го февраля также было запущен онлайн канал P4 Melodifest, который предлагает плейлист треков Мелодифестивалена и самого Евровидения, и будет вещать круглосуточно до 20го мая онлайн на sverigesradio.se или через мобильное приложение Sveriges Radio Play. Финал шоу также транслировался с сурдопереводом на SVT24, а также через приложение виртуальной реальности SVT 360. Международные эфиры шоу прошли на RÚV в Исландии, NRK3 в Норвегии и Yle Fem в Финляндии, а RTVE Испания предоставила онлайн комментарий на испанском языке. Мобильное приложение, вызвавшее в прошлом году множество споров, вновь было использовано в этом году в Melodifestivalen 2016. На этот раз было решено разрешить голосовать сердечками не только во время исполнения песни, но и на протяжении всего шоу. Как и в прошлом году пользователи приложения могли отдать до 5 голосов за песню при помощи приложения. Голосование по мобильному приложению было бесплатным, но имело такой же вес, как и телефонное и СМС голосование. "Мы хотим минимизировать риск того, что вы не успеете проголосовать за понравившиеся песни", объяснила руководитель проекта Анетт Хелениус. Как обычно, также было возможно голосовать по телефону и СМС, голосование открывалось с началом шоу в 20:00. У зрителей были два номера для голосования: голосование по более дешевому номеру обходилось в 3.60 крон, а по другому - 9.90 крон, из которых 8.90 будет отправлено в пользу благотворительного фонда Radiohjälpen. Возможно было голосовать по телефону и СМС до 20 раз за каждую из песен, то есть используя все методы, максимально за шоу с одного телефона можно было отдать 85 голосов. В финале конкурса 11 групп жюри давали участникам по 11*43=473 балла. Телефонное и СМС голосование закрылось только пять минут спустя окончания голосования жюри. Зрители также распределили 473 балла, которые были разделены в соответствии с процентами получаемых голосов. Дизайн сцены, созданный Фридой Арвидссон и Виктором Браттстремом, был представлен 22го января. Сцена в этом году будет разделена на две части: LED-экран справа, и сторона основанная на световых эффектах от проекторов с другой стороны. Край сцены в этом году будет обрамлен дорожкой для передвижной камеры, что позволит дать новую картинку со сцены. "Сцена получилась более интимной, чем в прошлые годы. Зрители будут находиться прямо рядом с артистами", говорит Фрида Арвидссон. Гринрум также получит новый вид, и будет совмещен со сценой, будучи поднят на уровень четырех метров над полом. Графический дизайнер Давид Нордстрем, работавший в прошлом году с Монсом Зельмерлевым, в этом году будет работать над графикой всего национального отбора. В состав бэк-команд в этом году вошли вокалисты Mia Stegmar и Jonathan Jaarnek Norén, а также танцоры Daniel Koivunen, Edin Jusuframic, Linda Hansson, и Nathalie Akselsen. Мия Стегмар - знакомое имя, она была членом "хора" в прошлом году, а также сама выступала на конкурсе с группой Itchycoo. Йунатан Йарнек Норен стал заменой Симона Лингмерта, который в свое время также был взят из рядов участников Идола. В этом году к команде присоединились еще два танцора, поскольку им предстоит увеличенная задача - танцевальные номера открытия и интервал актов шоу. Возвращаются на конкурс Даниель Койвунен и Эдин Юсуфрамич, признанные танцорами года на интернет премии в 2013 и 2015 годах соответственно. Вместе с ними выступили ветеран Линда Ханссон и новичок Натали Аксельсен. Голоса, подданные в шоу: 4,389,687 - 1 полуфинал, 4,647,934 - 2 полуфинал, 4,389,051 - 3 полуфинал, 4,592,313 - 4 полуфинал, 6,059,917 - Второй шанс, 12,643,275 - Финал. Зрители: 3,279,000 - 1 полуфинал, 3,167,000 - 2 полуфинал, 3,241,000 - 3 полуфинал, 3,079,000 - 4 полуфинал, 2,921,000 - Второй шанс, 3,464,000 - Финал (ниже, чем 3,736,000 в прошлом году). 4го февраля, за два дня до шоу было объявлено о том, что песня Анны Бук "Himmel för två" дисквалифицирована. Как оказалось, ее английская версия "Taking Care of a Broken Heart", принимала участие в молдавском отборе 2014 года в исполнении Феличии Дунаф. Песня Дунаф была опубликована в студийном варианте, а также прозвучала на живых прослушиваниях, которые также транслировались в прямом эфире онлайн. При этом в итоге в телешоу Дунаф прошла с другой композицией. Авторами песни на Молдавском отборе были указаны Aidan O Connor, Svin Inge Sjoberg, Larry Forsberg, Lenneart Wastesson - Aidan O Connor, Svin Inge Sjoberg. Авторами шведской песни указаны - Sven-Inge Sjöberg, Lennart Wastesson, Larry Forsberg, Camilla Läckberg, при этом последняя является автором шведского текста на композицию. Правила шведского отбора предельно ясны в этой части: К участию в Мелодифестивалене допускаются только песни, которые никогда ранее не были доступны публике любым способом - будь то путем эфира, выступления, публикации, распространения и т.п. Это требование относится также к музыке отдельно от текста и наоборот. Публикация в интернете также является запрещенной. "Правило, предписывающее запрет на публичную презентацию песен настолько важно для нас, что у нас не осталось другого выхода кроме как объявить Анне Бук и авторам песни о ее дисквалификации", заявил продюсер шоу Кристер Бьоркман. Певице предложено выступить с ней в качестве интервал-акта.